MillerBuilt Full Floater Kits,,,,, GET YOURS! – Hybrid Full Floaters – The NEW standard in high performance rear-ends…. These Full Floater Systems provide improved handling through predictable and consistent brake pedal height and tire contact patch. The innovative patent pending design adapts the performance proven C7 Corvette Hub Bearing Unit onto your new or existing rear-end (depending on application). 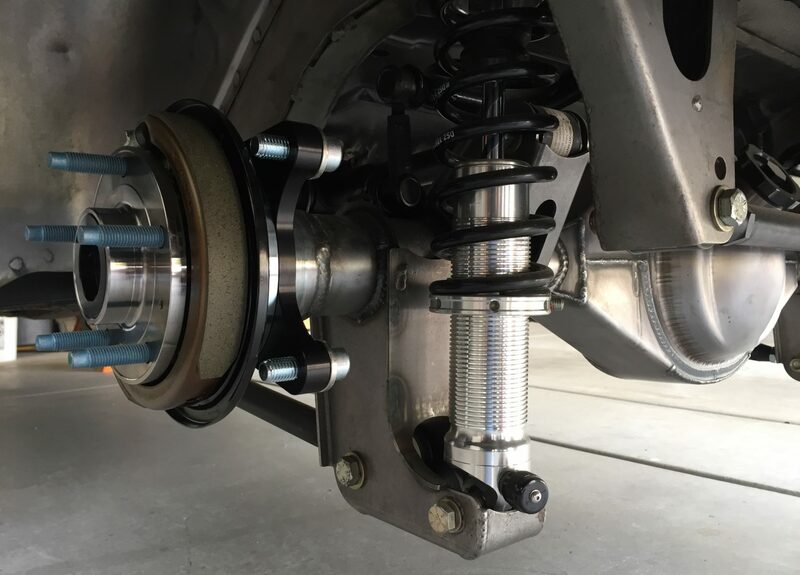 By doing so, the cars weight is now fully supported by the robust C7 Corvette Hub Bearing Unit, thus eliminating axle deflection which greatly reduces brake “knock-back”, premature bearing wear, and irritating oil seal leaks associated with traditional “semi-float” type axle configurations. Whether you are simply wanting to incorporate some modern day OEM technology into your build or actually looking to gain a performance edge at the track all while adding an element of safety, these NEW Hybrid Full Floater Systems by MillerBuilt are for you! Ridetech 48 Hour Camaro with MillerBuilt Bolt-On Full Floater Kit! Ridetech Track 1 Camaro with MillerBuilt Weld-On Full Floater Kit!